Besides its eponymous creator, the show also featured a cast of characters from Mister Rogers’ make-believe world (King Friday XIII, Daniel Striped Tiger, and Bob Dog), and his “real” world (Mr. and Mrs. McFeely, Lady Aberlin, and Handyman Negri). Fred Rogers met François in 1968 after hearing him sing in a Pittsburgh-area church they both attended. He was so impressed with his voice that he asked him to join the show. At the time, François was a graduate student working on getting his singing career going and was reluctant to accept Fred’s offer. But after realizing he would get paid to appear on the show—enabling him to afford his rent—François accepted, becoming the first African American actor to have a recurring role on a children’s television series. For 25 years François appeared on the show while maintaining a separate career as a professional singer. In 1973, his performance with the Cleveland Orchestra earned him a Grammy Award and his love of spiritual music later led him to found the Harlem Spiritual Ensemble. 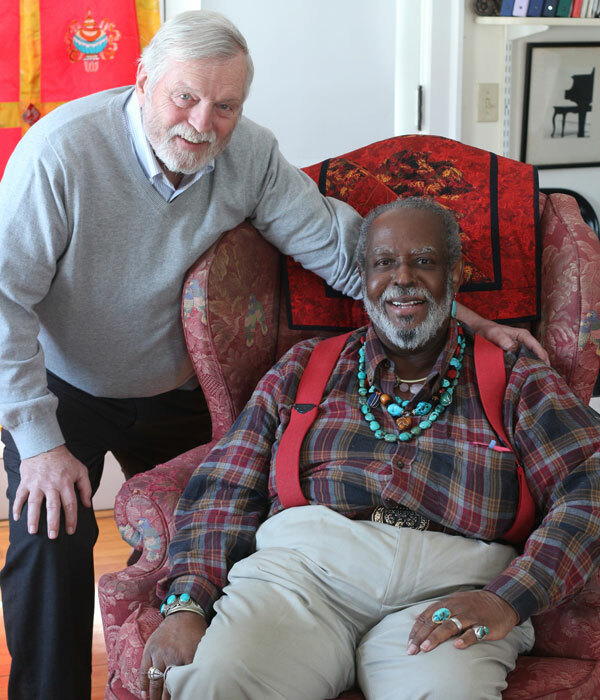 He also spent 16 years as an artist-in-residence at Middlebury College in Vermont until his retirement in 2013. Originally aired March 11, 2016, on NPR’s Morning Edition. FC: Fred came to me and said, “I have this idea…you could be a police officer.” That kind of stopped me in my tracks. I grew up in the ghetto. I did not have a positive opinion of police officers. Policeman were sicking police dogs and water hoses on people. And I really had a hard time putting myself in that role. So I was not excited about being Officer Clemmons at all. There was one particular scene that Fred and I did, where he had his feet resting in this plastic pool on a hot day. FC: And he invited me to come over and to rest my feet in the water with him. FC: The icon Fred Rogers, not only was showing my brown skin in the tub with his white skin as two friends, but as I was getting out of that tub he was helping me dry my feet. FC: And so that scene touched me in a way that I was not prepared. FC: I think he was making a very strong statement. That was his way. I still was not convinced that Officer Clemmons could have a positive influence in the neighborhood and in the real world neighborhood, but I think I was proven wrong.